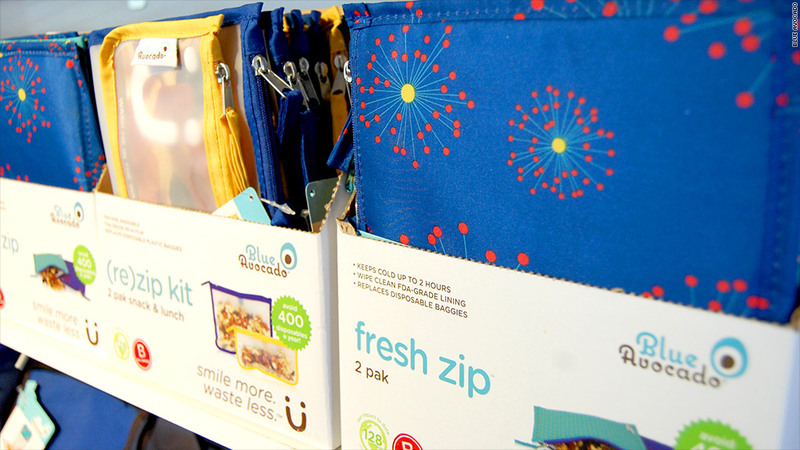 BlueAvocado sells reusable totes, travel gear and lunch bags -- all of which are sourced from 3 million recycled plastic bottles. "Green" products are everywhere nowadays. But it can be tough for consumers to tell the difference between "eco-friendly" and companies with a real commitment to making the world a better place. BlueAvocado sells reusable totes, travel gear and lunch bags. But unlike its competitors, BlueAvocado sources nearly all of its materials from 3 million recycled plastic bottles. From its inception in 2009, each item in the Austin-based company's collection had an impact label listing how many bottles were kept out of landfills and how the products shrink a customer's carbon footprint. The company had an environmental code of conduct and donated 1% of sales to Kiva.org and Whole Planet Foundation. But BlueAvocado still wanted a better way to show customers that its business model was different. Impact investors encouraged the company to become a B Corp, a certification that shows a company is committed to solving social and environmental problems with a for-profit business model. Started by the nonprofit B Lab in 2006, B Corp certification spotlights companies that prove their commitment to sustainability, community, transparency and fair employee treatment. Getting certified didn't mean upending BlueAvocado's corporate structure -- which had always operated under a sustainable charter -- just proving its do-gooding mettle. BlueAvocado was B Corp-certified in March, and business exploded. Its products were already in about 300 Target (TGT) stores, but George said the certification more than tripled the stores Target that carried it. George said after B Corp certification, BlueAvocado expanded to about 2,500 new stores -- including Kohl's (KSS), QVC, Duane Reade, Belk and Buy Buy Baby -- and is slated to ship to 500 more by the end of the year. The company is on track to double its revenue for the third consecutive year. Related: Which social network is best for your business? It's not just retailers that take notice of B Corp certification. It can also be a game changer for consumers and investors. Over the past five years, B Lab said small businesses with B Corp certification have had a 30% higher survival rate than U.S. small businesses as a whole. Jay Coen-Gilbert, co-founder of B Lab, said he frequently hears that B Corp certification streamlines processes for companies trying to prove their credentials to investors. George agreed and said BlueAvocado has since received "coveted invitations to present to top consumer investors... and [is] in conversations with top green investors." Last year, about 4,800 companies registered for a B Corp self-assessment, and B Lab ultimately certified 300, bringing the total number of companies certified to 859 worldwide, including socially conscious darlings like Warby Parker and Ben & Jerry's. To get certified, companies must earn at least 80 points out of 200 on an audit that measures benchmarks like what percentage of workers are from chronically underemployed populations or whether more than half of the products directly address a social issue. For George, the process has been well worth it. "We see the trends and data that says Millennials [are] twice as likely as my generation to buy green products, but you need that stamp ... that gives people confidence that it's not just a marketing label -- that it's truly a green business."